Appiani Group history begins in 1962, when Andrea Appiani decided to take advantage of his long experience in the engineering industry to start a business for the production of steel reels for the wire and cable industry. Over the years, the company has experienced a process of growth and continuous improvement until the formation of today's industrial group, which operates successfully in various sectors which include not only the production of steel reels, but also the manufacturing of tanks and steel structures. The mission of Appiani Group is to offer the customers a wide range of quality products at competitive prices through an efficient service. To pursue this goal, the companies that compose the group invest annually in research and development, in advanced and reliable manufacturing technologies, in the continuous staff training and in the creation of durable and valuable relationships with the customers. 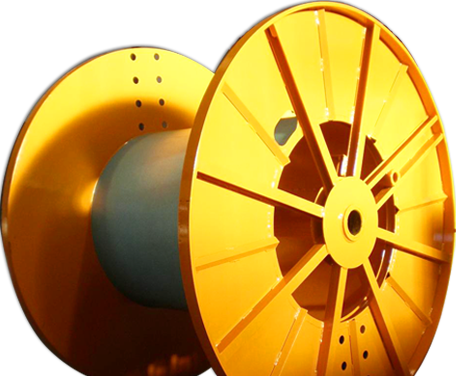 Appiani Reels is the company of the group qualified in the production of reels and special equipment for the wire and cable industry. For this market area the company can provide all the major players in this sector with a wide range of products, including steel cord and saw wire spools, pressed reels, structural and internal process reels, reel handling equipments, tilters, take-apart reels and many types of lifters, designed and developed according to the specific customer’s requirements. Appiani Inoxfer is the company of the group that manufactures stainless steel/carbon steel carpentry structures. The core business is the production of tanks for fire fighting vehicles, equipped with necessary piping series; in this sector, Appiani Inoxfer has established durable relationships with the major manufacturers in the European territory. 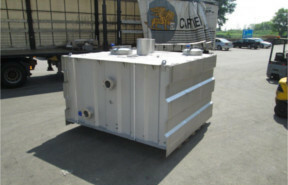 The range of available products also includes tanks of various types, suitable for use in the steel and ecological sector, as well as structures and frames for automatic machines. A.Appiani Srl obtained certification UNI EN ISO 9002:1994 in October 2001. In march 2004 it has adequate the system to the norm UNI EN ISO 9001. Foundation of Appiani Reels. Mr. Andrea Appiani, after working many year as technician in the company Mol-Bre (the first Italian company to manufacture industrially pressed reels), started a new activity for the production of steel reels. boom in the pneumatic sector. In those years A.Appiani srl activity concentrated on the manufacturing of B-type spools for the winding of tire cord. The company was able to patent B-type spools and to produce them exclusively for several years. In the late 60s and early 80s, A.Appiani Srl started to operate at an international level supplying spools to the major tire cord producers beyond national borders. 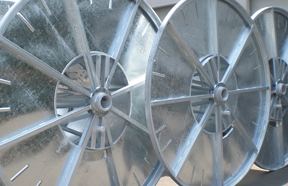 from the original company founded in 1962 two companies born: A.Appiani Srl (Appiani Reels) specialized in the production of reels and Appiani Inoxfer Srl specialized in production of tanks and carbon/stainless steel carpentry structures. When Appiani Inoxfer Srl was founded, the plant was expanded through the creation of a new warehouse for the production of tanks. diversification of the product range of A.Appiani Srl. The company started to expand the range of available products in order to become a supplier not only for tire cord manufactures, but for all the major operators in cable and wire industry. 2nd plant expansion thanks to the creation of a new warehouse and new offices. Following the disappearance of the founder Mr Andrea Appiani, his son Marco is nominated administrator of the group. In the same period, the certification ISO was obtained for both companies. R&D in order to introduce new reels models used for shipping of saw wire (wire used for cutting/production of semiconductors) and surface treatments on tanks in carbon steel. A.Appiani Ltd. celebrates its first 50th anniversary. On the occasion of the fiftieth anniversary, the two companies have been renewing their image through the establishment of Appiani Group, including both companies, and the launch of the new group website www.appianigroup.com.